The new Cisco RV340W Dual WAN Gigabit VPN Router with Wireless is part of the RV34x Series and is the wireless counterpart of the RV340. It is the right choice for any small-business network that requires performance, security, and reliability. Now with several added security features such as Web Filtering, Application Control, and IP Source Guard, the RV340W delivers highly secure, broadband, wired and wireless connectivity to small offices and remote employees. These new security features also provide the ease of fine-tuning permitted activity on the network. 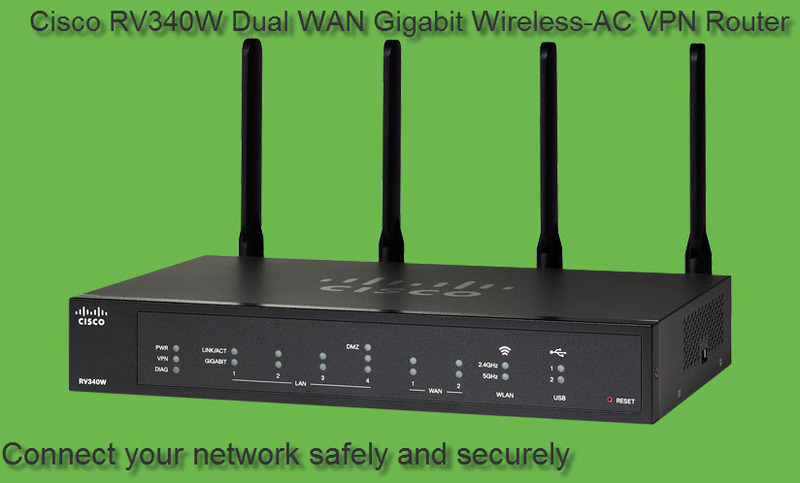 In the following part, we will share the features and benefits of the RV340W Dual WAN Gigabit Wireless-AC VPN Router, which help you know the new Cisco RV340W well. 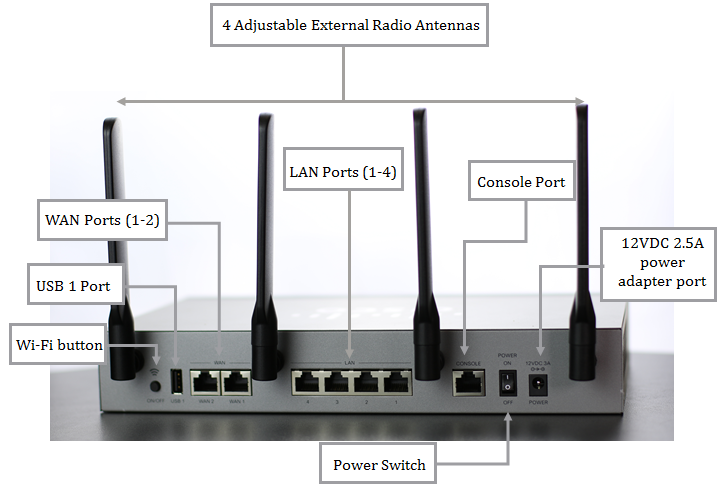 Wireless connectivity with four external radio antennas with dual-band. Application control to secure your network through sets of application policies. Web filtering to guard against malicious or non-work related websites. Filtering more than 27 billion URLs. Content filtering to restrict access to certain websites. Teleworker Client for the on-the-go worker. IP Security (IPsec) site-to-site VPN helps enables secure connectivity for remote employees and multiple offices. Strong security with proven stateful packet inspection (SPI) firewall and hardware encryption. 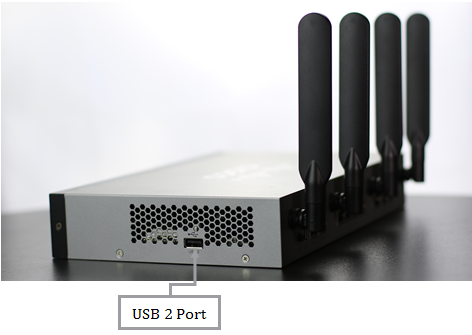 Dual USB ports for backup and restore, and for 3G/4G modem failover or alternative primary connectivity. High-performance Gigabit Ethernet ports, enabling large file transfers and multiple users. Desktop Mounting: For desktop mounting, place the device on a flat surface so that it sits on its four rubber feet. WARNING: For safety, ensure that the heat dissipation holes are facing sideways. The front panel shows the model number, the Reset button and several LEDs for Power, VPN, Diagnostics, LAN, WAN, WLAN, and USB. PWR Off when the device is powered off. Solid green when the device is powered on and booted. Flashing green when the device is booting up. DIAG Off when the system is on track to bootup. Slow blinking red (1Hz) when the firmware upgrade is in progress. Fast blinking red (3Hz) when the firmware upgrade is failing. Solid red when the system failed to boot-up with both active and inactive images or in rescue mode. LINK/ACT of WAN1, WAN2 and LAN1-4 Off when there is no Ethernet connection. Solid green when the GE Ethernet link is on. Flashing green when the GE is sending or receiving data. GIGABIT of WAN1, WAN2 and LAN1- 4 Solid green when at 1000M speed. Off when at non-1000M speed. DMZ Solid green when the DMZ is enabled. Off when the DMZ is disabled. VPN Off when no VPN tunnel is defined, or all defined VPN tunnels have been disabled. Solid green when at least one VPN tunnel is up. Flashing green when sending or receiving data over VPN tunnel. Solid amber when no enabled VPN tunnel is up. 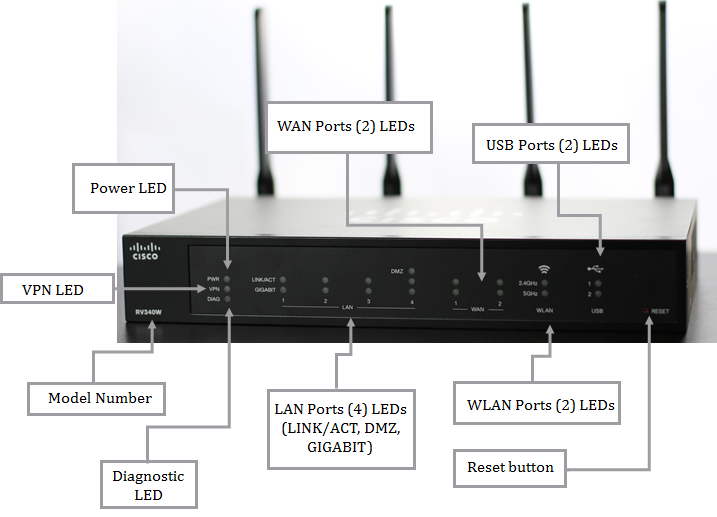 Wireless LED is on when the internal access point is enabled. LED is off when the internal access point is disabled. USB1 and USB2 Off when no USB device is connected, or is inserted but not recognized. Solid green when the USB dongle is connected to the ISP successfully. USB storage is recognized. Flashing green when sending or receiving data. Solid amber when the USB dongle is recognized but fails to connect to ISP (no IP address is assigned). The USB storage access has errors. To reboot the router and retain the current configuration, press and hold RESET for 3 seconds to 10 seconds (maximum), using a paper clip or a pen tip. To reboot the router and restore to the factory default settings, press and hold in the RESET button for more than 10 seconds. Changes made to the original configuration of the router are lost. The back panel shows the Wi-Fi button, USB 1 port, WAN ports 1 and 2, LAN ports 1 to 4, console port, On and Off Switch, 12VDC 2.5A power adapter port, and the 4 adjustable external radio antennas. POWER—Toggles power to the device on or off. 12VDC (2.5A)—Power port that connects the device to the provided 12VDC, 2.5 amp power adapter. USB 1—Type A USB port that supports flash drives and 3G/4G/LTE USB dongles. Caution: Use only the power supply provided with the device; using other power supplies may cause the USB dongle to fail. Console Port—The router console port is designed for a serial cable connection to a terminal or a computer that is running a terminal emulation program. USB 2—Type A USB port that supports flash drives and 3G/4G/LTE USB dongles. Caution: Use only the power supply provided with the device; using other power supplies may cause the USB dongle to fail. Kensington Lock Slot—Lock slot on the right side to secure the device physically, using the Kensington lock-down equipment. This LED indicates the status of the device depending on what state it is in. OFF – Device is powered OFF. Solid – Powered ON and booted. OFF – Device is OFF or DMZ is disabled. Solid – DMZ is enabled. OFF – No power or no VPN tunnel has been defined or all VPN tunnels have been disabled. Solid – At least one VPN tunnel is up. Solid – No enabled VPN is up. OFF – No power or about to boot. Slow blinking – Firmware is upgrading. Fast blinking – The firmware upgrading is failing. Solid – System has failed to boot with both active and inactive firmware images or in rescue mode. OFF – No power or no USB detected, or USB connected but not recognized. Solid – USB is connected to the ISP and USB is recognized. The Cisco RV340 Series Dual Wan Gigabit VPN Security Router are next generation high performance routers with Web Security and Cisco Anyconnect VPN. Available with 4- or 16- LAN ports and PoE. 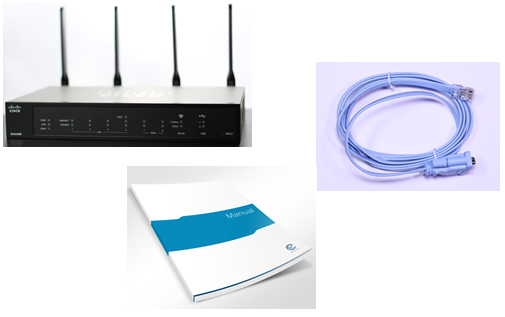 Ideal for small networks with increased security needs. Easy to configure and manage, they include a limited lifetime warranty. Application visibility and Client ID allow flexible configuration of network policies.